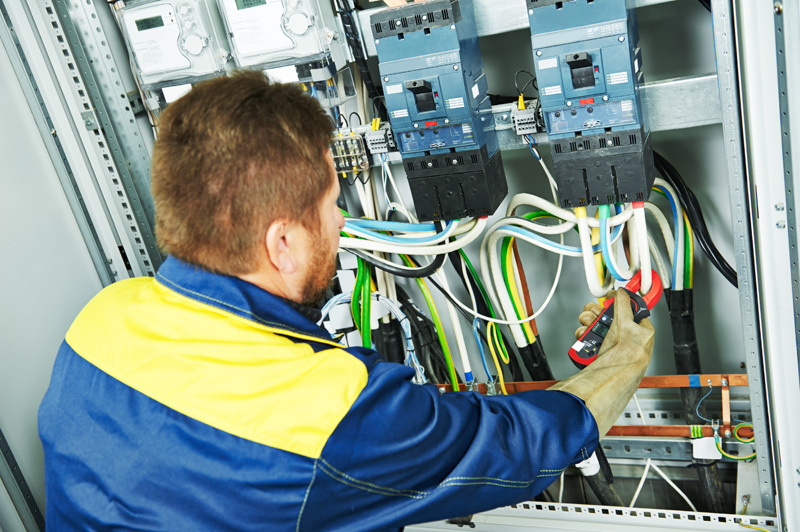 Installation, repair and maintenance of low and high voltage building and building services electrical systems. Complete interior/exterior systems including fluorescent, incandescent, LED, and high intensity discharge. Parking, security, emergency and exit lighting. Spanning fire & security, lighting, environmental control, communications, audio and video cabling. Smart technology, high-efficiency lighting, control systems, metering and monitoring systems, and energy efficient solutions including green technologies. Power supplies, including green energy options, for primary, stand-by, and emergency use. Uninterruptable power supply systems (UPS) to ensure continuity. For electrical/telecoms systems to counter risk from lightning and power supply irregularities.